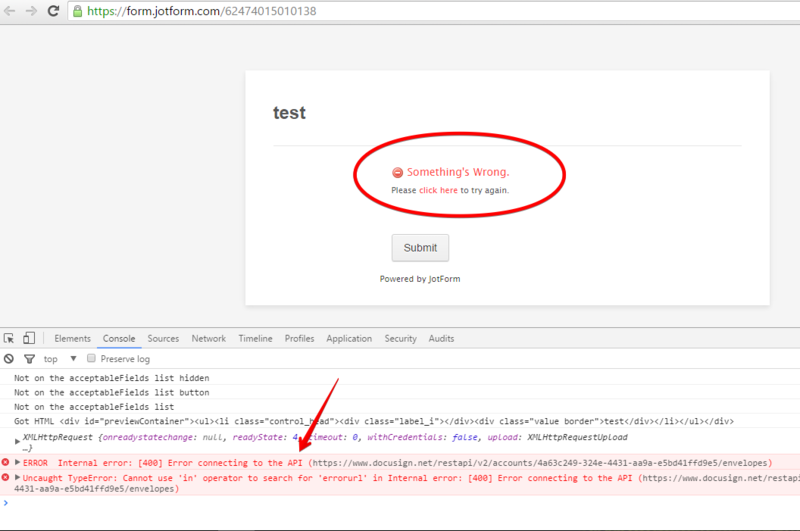 I am trying to use DocuSign but I kept getting an error message " Something's Wrong. Please click here to try again." Unfortunately there seems to be a glitch on our DocuSign widget API. We will let you know here once we have fixed. 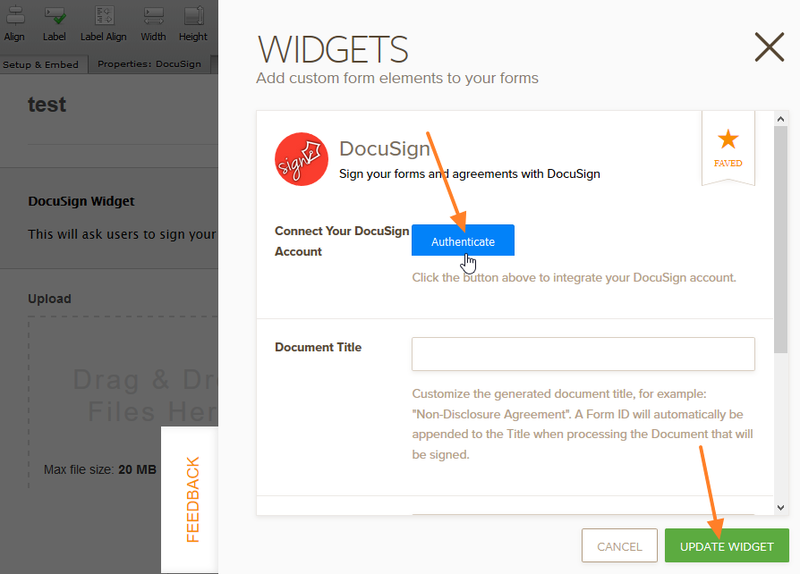 The error indicates that you have not connected the widget with your DocuSign account. Give that a try and let us know how that goes.